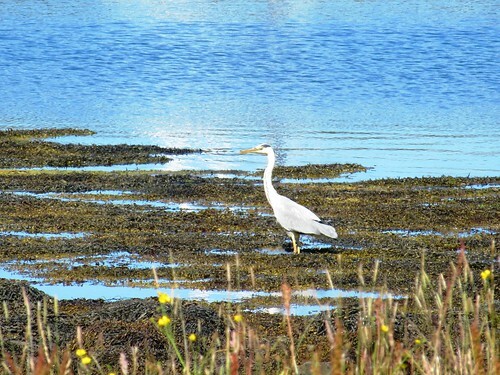 We had a lovely break in Oban at the start of the month, the sun shone all week and fortunately there weren’t many midges about. 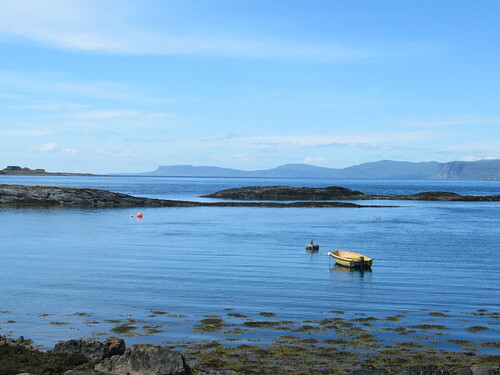 We stay in Oban quite often, then island hop, taking ferries of all shapes and sizes to different isles. As you know I love wildlife, every time I come to this area I hope that I will see otters in the wild, but alas once again they evaded me. 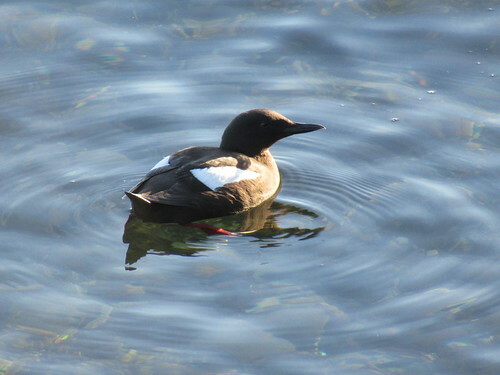 I did see quite a lot of wildlife though, including these very comical black guillemot, they were fun to watch in the harbour right outside our apartment. 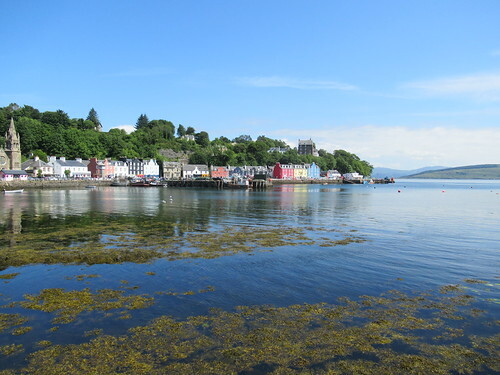 As I said we go island hopping, the first trip was to Tobermory on Mull, which is the setting for the childrens TV show Balamory. 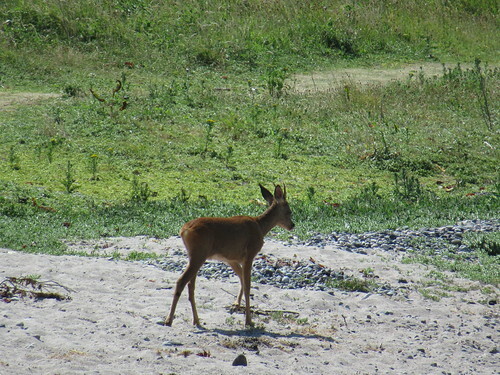 The next day was my 60th birthday, we didn’t go island hopping as I was gifted a trip on the Jacobite scenic railway. Unfortunately due to fire risk the steam engine was replaced with a diesel train, and sadly we didn’t have very good seats so I didn’t take any photos on the way there. 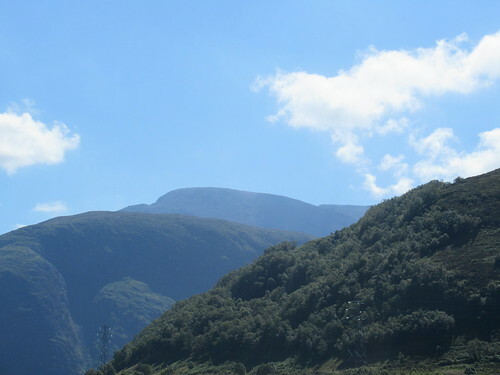 The journey starts at Fort William, which is famous as being the home of Ben Nevis, the highest mountain in Great Britain. When we’ve been here in the past it’s usually capped in cloud but not today. 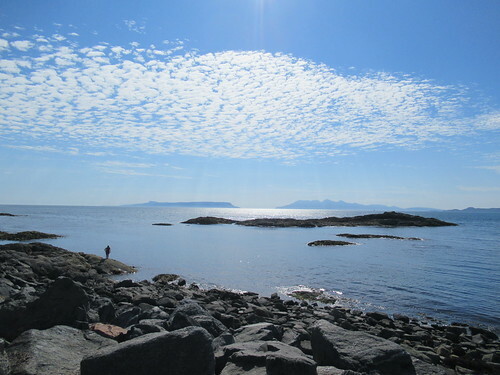 The train winds its way through the mountains and along the coast to Arisaig, the line ends at Mallaig. They say it’s one of the most scenic railway journeys in the world. 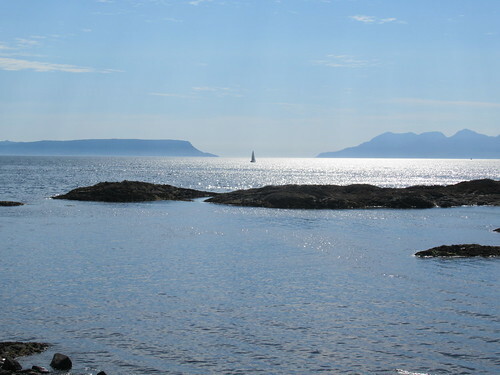 We had our picnic at Mallaig gazing across to Rum and Eigg. On the return journey we had better seats, so I got some photos. 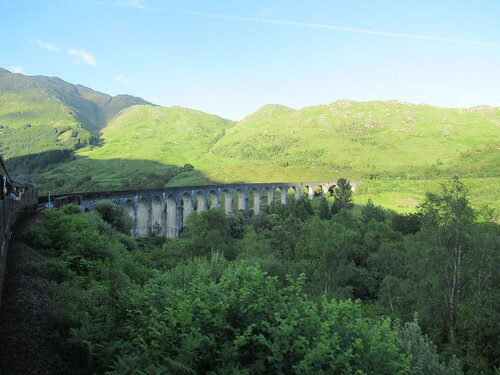 You might recognise the viaduct from the Harry Potter films. We saw Dumbledore’s burial place but I didn’t have my camera ready. I’m not a HP fan but I was pleased to see Ben’s beach from the film Local Hero. 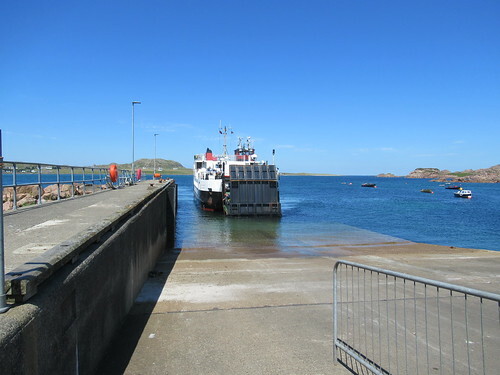 The next island hop was to Iona, this involved getting the ferry to Mull again, then a bus took us along the Ross of Mull, then another ferry to Iona. 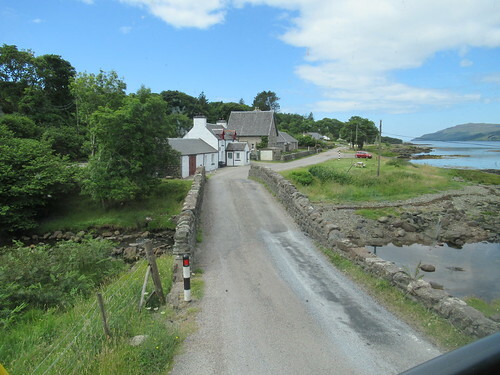 This is the main road on Mull. 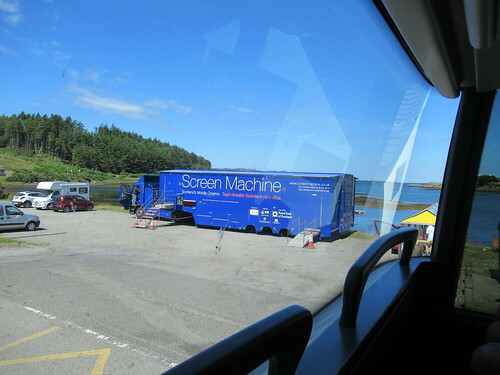 The cinema had come to the island. 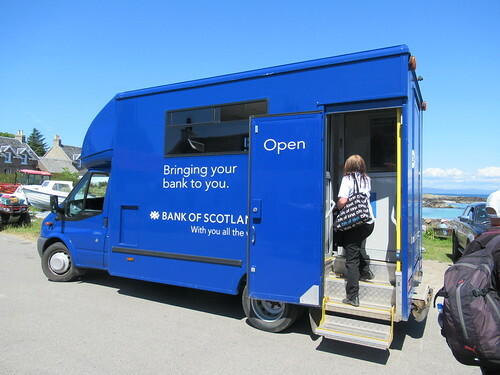 The mobile bank was on the island. 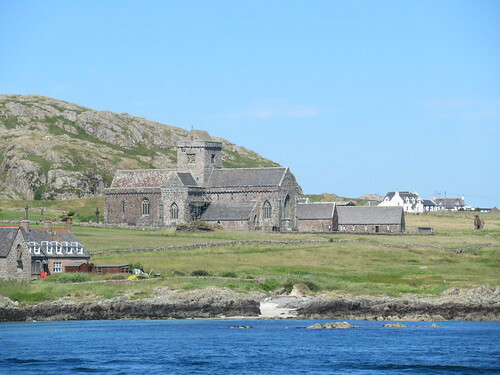 Iona is an important Christian site, the Abbey is built where St Columba’s monastery stood. People come here on pilgrimages from all over the world, we only had an hour before heading back to catch our ferry. 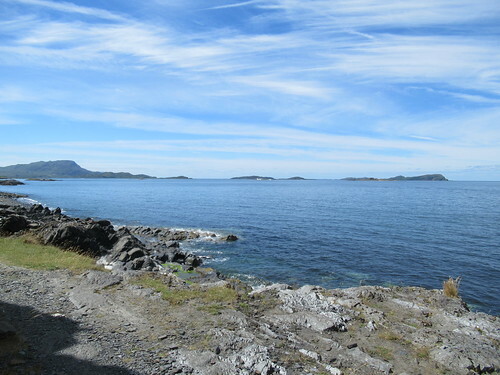 One of my favourite, but probably less known islands in the Inner Hebrides is Luing. 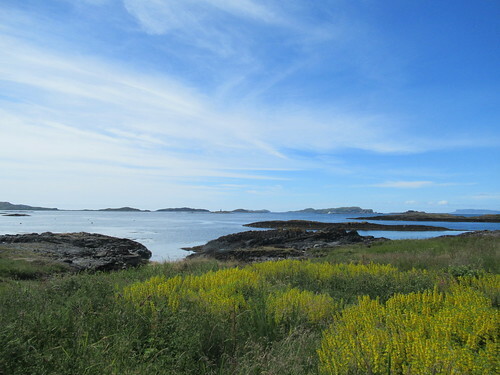 We went by car over the ‘bridge over the Atlantic’ to Seil island, then the very small 5 car ferry as foot passengers, to spend our day walking on my favourite isle. 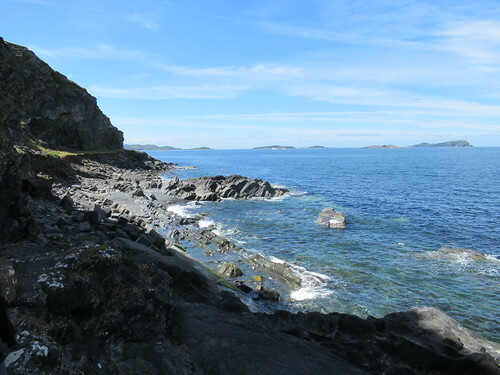 I was hoping to see otters on the rocks here as a gamekeeper told me it was a good place to see them. This walk involved a lot of rocky scrambles but we have done it before. My eyes were peeled scanning for otters all the way. I love these little cottages in Cullipool. This place always inspires me, I can see these scenes being used in my work soon. 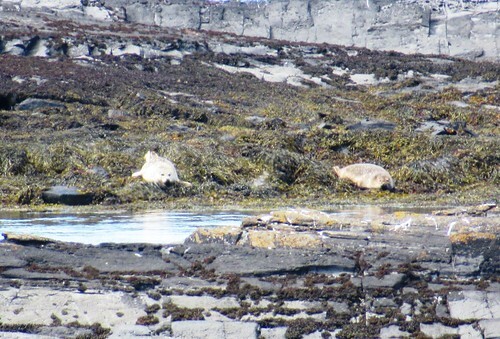 Our observation did pay off as we had several seal sightings. 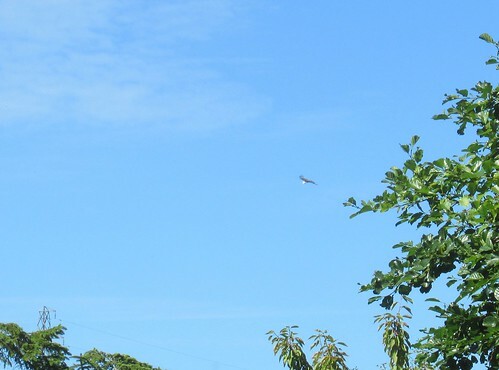 As well as buzzards, golden eagle, male hen harrier and this truly wonderful white tailed sea eagle. 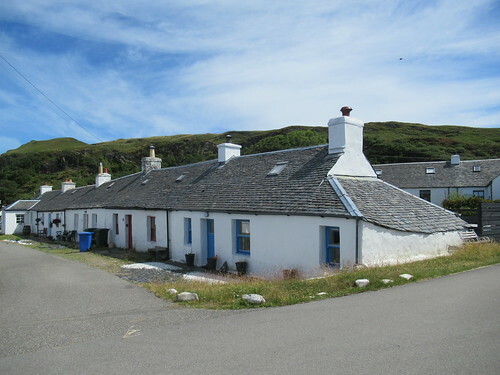 This entry was posted in kiln fired art and tagged Inner Hebrides, Iona, Luing, Mull, Scotlan, things to do around Oban. Bookmark the permalink. Beautiful photos! 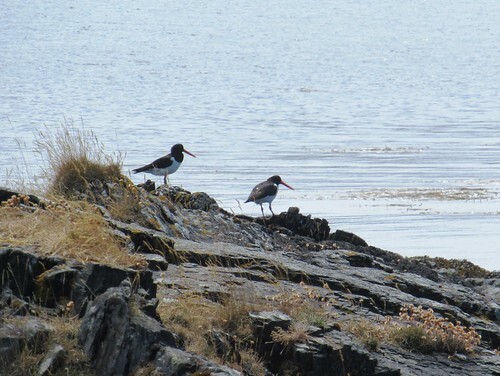 How do you pronounce Hebrides phonetically? I’m re-reading for the 3rd time the Outlander Series of books and just started #4 , so my eyes perked up when you mentioned Jacobites and Fort William. One day I’ll get to Scotland and visit all that magnificent scenery, but in the meantime Thank You for sharing it with us. 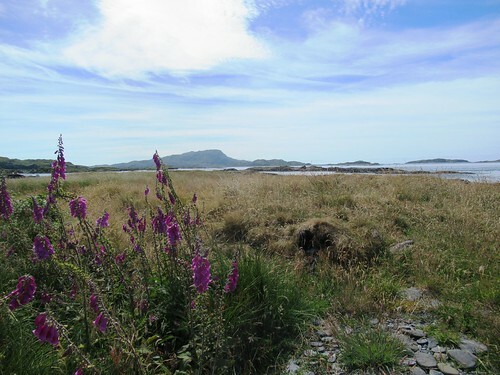 😁 Alysen there were a lot of American and Australian tourists in Oban, I think a lot were tracing their ancestors, the highland clearances drove a lot of Scottish families abroad. Methinks you’re right! One of my cousins went recently on a fact-finding mission about her Dad’s side who are Campbells.